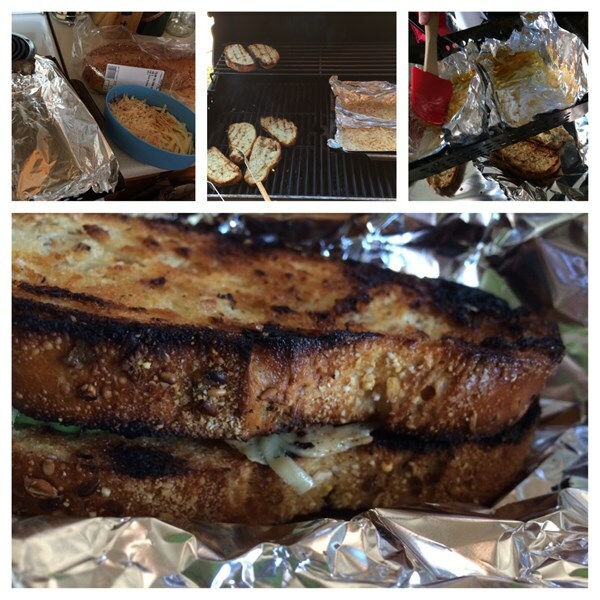 Melt cheese (Gruyere & Cheddar) with spices, and put in grilled bread. Added avocados. In celebration of National Grilled Cheese day, we did Alton Brown's Grilled Cheese grilled Cheese.